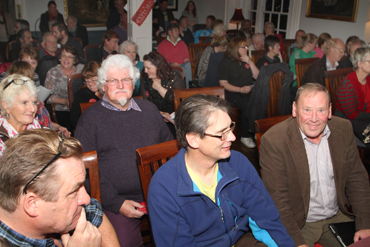 AT a packed meeting in the Portaferry Hotel in Portaferry, local residents, business people and staff of the belleaguerred Exploris Aquarium received an assurance from Alison Millar, deputy general of NIPSA, that the union would fight tooth and claw to protect the staff at Exploris. 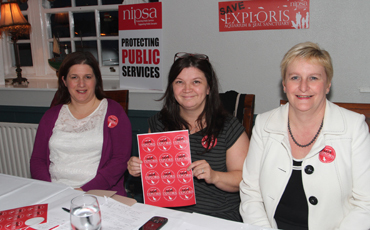 The meeting in the Portaferry Hotel organised by NIPSA managed to create a community and political consus to press forward for central government funding for the continuation of the public service at Exploris. Underpinning the mood of the evening was the question of why Exploris has been forced into this difficult position facing closure when all political parties are openly in support. 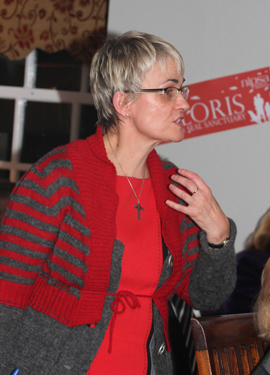 With a wide array of local politicians present, Alison Millar, NIPSA Deputy General Secretary, pulled no punches when she said that all of the parties at Stormont are in agreement that Exploris should remain open and that the politicians had to deliver on this. Alison Millar said: “We are very short of time. We are arguing for a regional service that is funded by central government. All of the government departments involved need to be supporting Exploris. Staff know only too well that Exploris needs a cash injection to make it a world class facility. “The staff have worked in difficult conditions over the past few years and now we must clear this issue up properly. The private sector interest seems to have move off from the the coal face just for te moment, but we must look after our workers and ther terms and conditions as part of all of this. The battle for central government funding begins. At the meeting in the Portaferry Hotel to save the Exploris Aquarium were NIPSA’s local reprsentaives Judith Caldwell and Antionette McMullan, and Alison Millar, Deputy General Secretary. “We are conscious too that there is not a lot of money in government to work with but nevertheless privatisation of Exploris was never the correct answer to its future. This could never be carried by Ards ratepayers in the long term. Therefore there may have been reasons to close Exploris for other reasons. “These public facilities are bodies that are basically not for profit. The solution to saving Exploris will involve a lot of work over teh next few weeks. Ards Council cannot afford to lose forty jobs in this area and the local economy benefits to teh tune of £3 million a year from Exploris. In closing the meeting, NIPSA’s Alison Millar put a motion to the meeting that the staff, residents and community fight together for regional funding to support Exploris as a regionally-funded public service. The motion was carried unanimously. The DOE Environment Minister Mark Durkin was sympathetic added Alison Millar and he is understood to be rallying other departments in the NI Executive to row in behind Exploris. The Minister has met politicians from the area and is to meet councillors from Ards Borough Council in the near future. 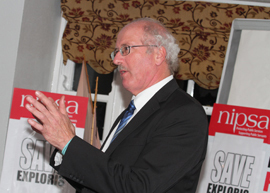 Strangford MLA Kieran McCarthy said: “Minister Mark Durkin is sympathetic to the Exploris cause. I was speaking with him today on this and I have put down a motion for debate in the Assembly and also put down an adjourment debate which won’t be heard until 4 November at the earliest. South Down MP Margaret Ritchie also expressed her full support and said: “I have already written to the DOE Minister on the Exploris issue of putting a cocktail of funding together so that Exploris can be saved. “This is about saving services and jobs and affects all the communities around Strangford Lough and the Lecale. These communities depend on the business that flows from local tourism driven by Exploris. South Down MP Margaret Ritchie. “The DOE has a special role in looking after the Marine Conservation Zone. Therefore we need a long tern strategy for funding and sustainability. I will be pursuing this matter. Ards Councillor Alan McDowell also commented that this was “one of the worst decisions that Ards Borough Council has ever made. O tried to put forward a proposal to keep Exploris open but was unsuccessful. I am ashamed as a councillor at this decision. 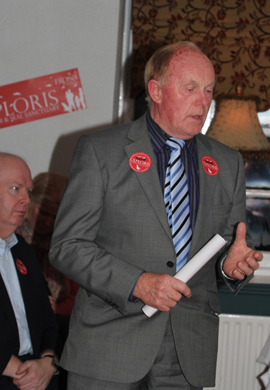 Also speaking, Councillor Joe Boyle said: “For those who can remember Portaferry prior to 28 years ago when Exploris opened and boosted the town’s economy, Portaferry was a much poorer place. “In recent years the main business is done in the town through July and August, and the other months are much leaner. We need these busy months to survive. “When RPA rolls out in a couple of years, we will see that other Councils will have left a legacy to their communities such as North Down is doing at the moment. This is all really about the Ards penisula. 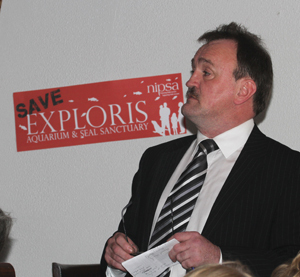 Strangford MP Jim Shannon also expressed his support for Exploris and said: “I agree regional funding is needed. All the relevant departments have a role to play in this. DARD for example funds the Loughs Agency visitor centre in Londonderry. “DETI ios repsonsible for NI tourism and the Department of Education too has a role to play. Even DCAl has involved itself in a salmon project at Bushmills. The DOE manage the marine environment centrally crucial to all of this. clear strategy for the way forward. Paidraig Mulholland, Preseident of NIPSA added that “we have to send out a strong message that there will be no public service cuts. Expoloris plays a huge role in the region and the Assembly should be proud of the work that is being done there. Closure should not be an option.